The towering symbols of a fading religion, over 14,000 wind turbines, abandoned, rusting, slowly decaying. When it is time to clean up after a failed idea, no green environmentalists are to be found. Wind was free, natural, harnessing Earth’s bounty for the benefit of all mankind, sounded like a good idea. Wind turbines, like solar panels, break down. They produce less energy before they break down than the energy it took to make them. The wind does not blow all the time, or even most of the time. When it is not blowing, they require full-time backup from conventional power plants. Without government subsidy, they are unaffordable. With governments facing financial troubles, the subsidies are unaffordable. It was a nice dream, a very expensive dream, but it didn’t work. California had the “big three” of wind farm locations — Altamont Pass, Tehachapi, and San Gorgonio, considered the world’s best wind sites. California’s wind farms, almost 80% of the world’s wind generation capacity ceased to generate even more quickly than Kamaoa Wind Farm in Hawaii. 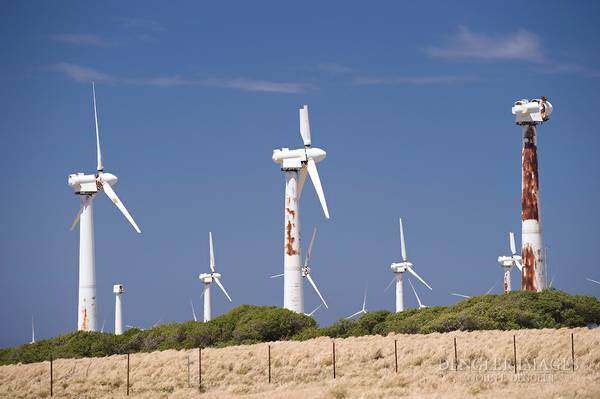 There are five other abandoned wind farms in Hawaii. 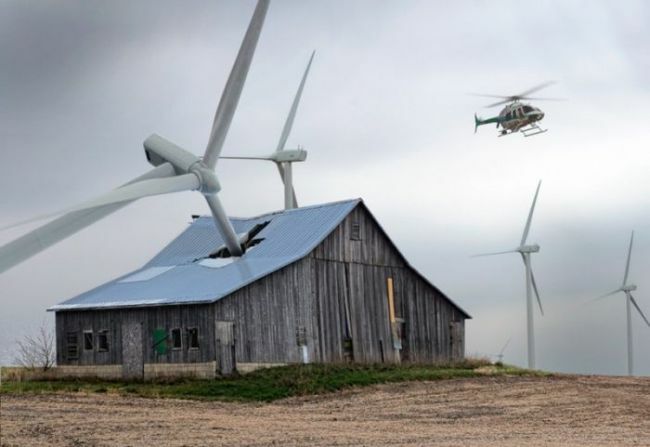 When they are abandoned, getting the turbines removed is a major problem. They are highly unsightly, and they are huge, and that’s a lot of material to get rid of. Unfortunately the same areas that are good for siting wind farms are a natural pass for migrating birds. Altamont’s turbines have been shut down four months out of every year for migrating birds after environmentalists filed suit. According to the Golden Gate Audubon Society 75-110 Golden Eagles, 380 Burrowing Owls, 300 Red-Tailed Hawks and 333 American Kestrels are killed by the turbines every year. An Alameda County Community Development Agency study points to 10,000 annual bird deaths from Altamont wind turbines. The Audubon Society makes up numbers like the EPA, but there’s a reason why they call them bird Cuisinarts. Palm Springs has enacted an ordinance requiring their removal from San Gorgonio Pass, but unless something else changes abandoned turbines will remain a rotting eyesores, or the taxpayers who have already paid through the nose for overpriced energy and crony-capitalist tax scams will have to foot the bill for their removal. President Obama’s offshore wind farms will be far more expensive than those sited in California’s ideal wind locations. Salt water is far more damaging than sun and rain, and offshore turbines don’t last as long. But nice tax scams for his crony-capitalist backers will work well as long as he can blame it all on saving the earth.